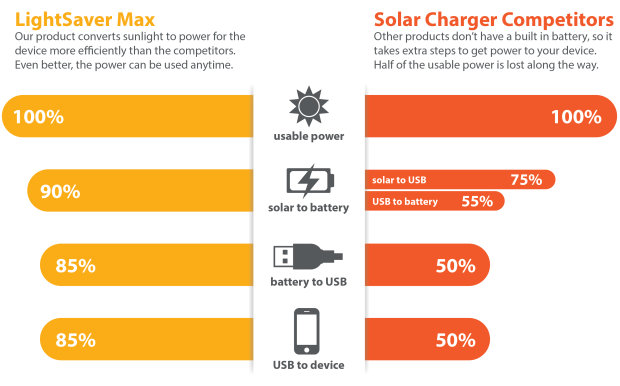 There are several different types of solar technologies on the market, each having characteristics that fit certain applications. Most solar panels use solar technologies, such as mono or poly crystalline around the world. Mono crystalline is highly fragile and if one cell is damaged, the entire panel is rendered useless and will need to be replaced. PowerFilm’s amorphous silicon offers the unique solution which suites your multiple applications. 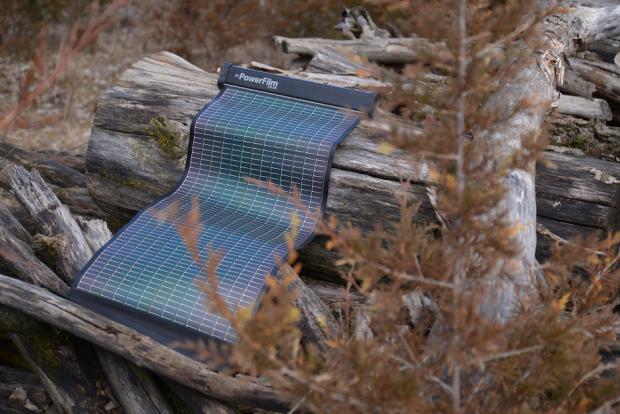 This technology produces a product that has a number of advantages over alternative solar options. 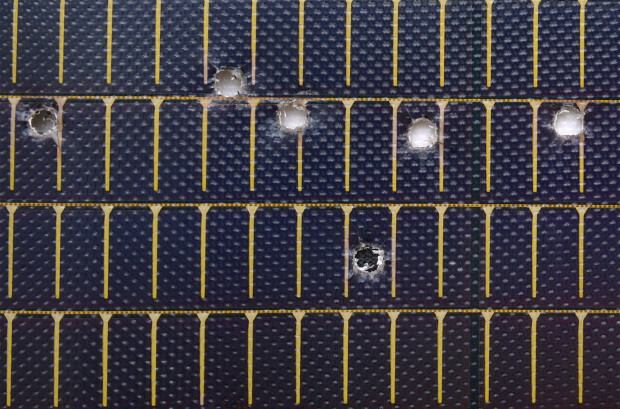 The amorphous silicon (a-Si) technology designed solar product; even works when some of the cells are damaged. 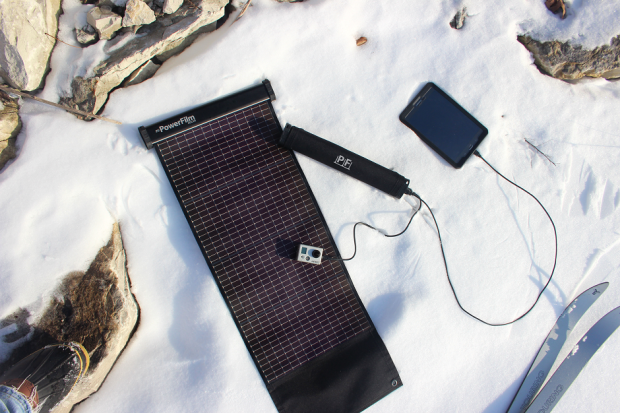 It has minimal impact on the overall solar panel system. While a mono crystalline panel will shut down completely when any cell within the panel is covered by an object as those panels require full sun coverage to operate. Additionally, a-Si is thin, lightweight, relatively inexpensive, and also environment friendly. It doesn’t contain toxic heavy metals such as cadmium or lead like some other solar technologies. 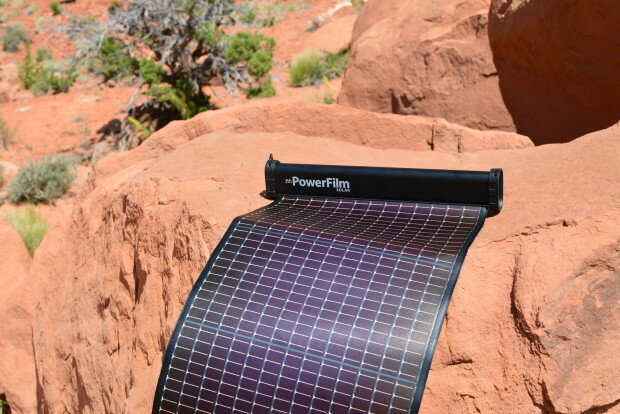 PowerFilm is a global solar technology company located in Ames, Iowa, USA, that manufactures flexible solar modules with a thin film plastic substrate from last 26 years. The products portfolio includes full power packages like solar, battery storage, power conversion electronics along with custom solar modules designed to meet the specific needs of customers. It is very thin, like paper. Encapsulated modules range from 0.22mm (8 mil) to 1.22mm (44 mil) thick. The thin aspect of PowerFilm allows it to be ultra flexible. It can be used for both large- and small-scale power generations. Their solar modules have been used for various applications such as solar tents for the Army to powering electronics, solar yacht, lifestyle gadgets and many more. 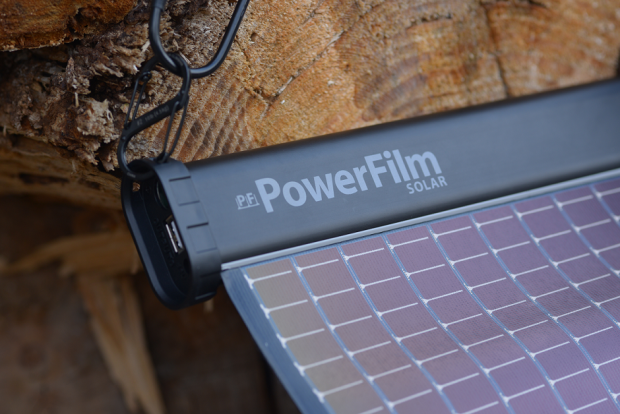 PowerFilm introduces the LightSaver Max, the most powerful and portable solar solution through crowdfunding campaign which is currently live at Indiegogo for a goal of $50,000. They need this seed fund to alleviate high upfront production costs and to deliver the LightSaver Max at the earliest. Barrel: 13.5" x2.5" x 1.5"
Solar Panel: 25.25" x 12.5"
Fabric Flap (rolls around the panel when stowed) 7" x 12.5"
Total unrolled panel: 34.5" x 13.5"
An integrated 15,600 mAh battery enables you to use the Max anytime or anywhere, day or night. 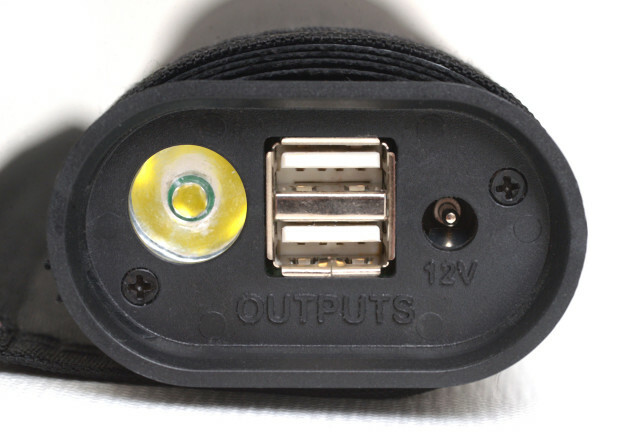 It has 2 USB ports to charge your devices simultaneously and unique thing is – it works even if it’s cloudy or you’re in a shaded location! 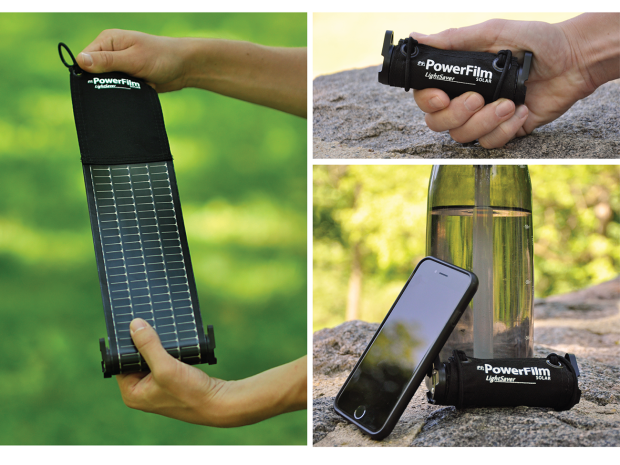 It gets charged in one full day of good sun or about 2.5 hours 12-volt input (car charger or wall charger) or 4-12 hours if using USB. The Max is very lightweight and the panel rolls up around the battery, making it slim and easy to transport. LightSaver Max is so flexible that it can be curved around a cylinder 2 inches in diameter due to its plastic (polymide) substrate. 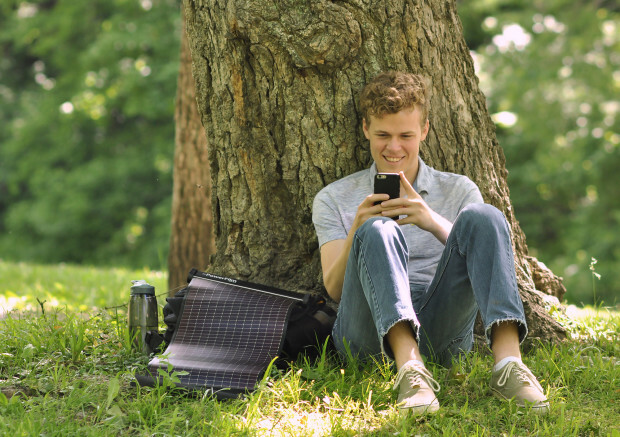 Use the Max anywhere anytime and it’s truly all-in-one charger on various events whether you are camping, hiking, backpacking, skiing, fishing, field photography, festivals, road trips, military and many more.